Online Auto Dealership Marketing Brings Buyers to You! When people want to find a car dealership, Google’s the first (and probably only) place that they’ll look. Good auto dealership marketing can help put you at the top of the online rankings, where potential buyers are much more likely to find your site. You already know that a dealership needs to have a good reputation, and this is even more important when it comes to the Internet. Our online marketing can help you capitalize on the good reviews of happy customers. This, in turn, translates into higher rankings and even more customers. Google judges a website’s quality on a variety of different metrics, ranging from the content to the number of pages that link to it. We’ll work hard to help your site meet and even surpass these standards. This matters because you’re competing against all of the other auto dealerships in your area. Chances are, they’re already using auto dealership marketing to grab the attention of clients. Ideally, when people in your city search for a car dealership, your site will be one of the first results they see. 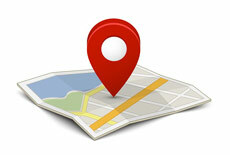 Our local SEO marketing services will focus on making your site more visible to prospects in your neighborhood. Through quality content, link-building, and directory submissions, your dealership can become the dominant one in your area. Using social media to the fullest lets you strengthen your connection with customers. You can build loyalty in your customer base by getting buyers to like you on Facebook or to follow you on Twitter. Likes and Tweets are collectively known as social signals. Sites that get a lot of signals receive more positive attention from Google. Social media marketing also gives you an easy way to keep people informed about what’s going on in your dealership. You can let people know about big sales or new cars. They can then share this news with others, leading to more potential clients walking onto the lot. Staying in touch with your clients on social media gives you the chance to get direct and immediate feedback. Your customers will tell you exactly what they expect, and you can tailor your business plans accordingly. The way to get the most from social media marketing is to have an account on all the big networks, along with a blog on your site that gets regular updates. Combined, these can help you build up a loyal and growing customer base. Cars are big investments, and that’s why potential clients will be more comfortable buying from a dealership that has a good reputation. Happy customers are likely to share their experiences on review sites like Yelp. However, it’s not just clients who’ll share their opinions. Unscrupulous competitors, for instance, might upload negative reviews. Even a few of these can seriously damage your reputation and convince customers to keep their distance. Reputation management is a part of online auto dealership marketing that can help you defend your good name. HeyGoTo will upload positive press releases and link your site to authoritative sources. This allows it to benefit from the good reviews, while the bad ones get pushed further down the rankings. Another way to get more people to your website is through PPC (pay per click) ads. Unlike organic ranking, which is based on content, PPC ads are paid positions that occupy the top three slots on a search result page. Having a PPC ad for your site in these top three can give your dealership a tremendous boost. You can also use PPC marketing on social networks. PPC ads appear on both Facebook and Yelp. The Facebook ads are targeted towards people in your area, making it highly relevant to them. PPC ads on Yelp will improve your dealership’s popularity. Our auto dealership marketing campaigns will work to direct your PPC ads to the communities that you want to target, on search engines and on social networks. With a solid reputation and a strong Internet presence, your car dealership will have what it needs to continue growing. At HeyGoTo, we’re dedicated to providing the very best in online auto dealership marketing. Feel free to contact us to learn more about our SEO, social media marketing, and other services.